A Supreme Court Bench of Justices S.J. Mukhopadhaya and V. Gopala Gowda has ruled that trial courts cannot reject a civil suit relating to property dispute for non-payment of court fees alone and that Article 39A of the Constitution [Directive Principles] is equally applicable to the district judiciary, and it is for the courts to ensure that justice is administered to people irrespective of their socio-economic condition, cultural rights or gender identity. The Bench further added that Article 39A of the Constitution provides for a holistic approach in imparting justice as it provides for free legal aid by appointment of counsel for the litigants as well as guarantees that financial difficulties do not act as a hurdle in rendering justice to litigating parties. Justice Gowda while writing the judgment stated the importance of Section 12(h) of the Legal Services Authorities Act which provides that every person who has to file or defend a case shall be entitled to legal services under this Act. Talking about the present case, the bench said that it was clear that due to financial difficulty the appellant could not pay court fee and because of which his suit was rejected. It was also noted that the appellant had moved the court claiming his substantive right to his property. The bench expressed its discontent on the court of sub judge’s behavior who dismissed the original suit for non-payment of court fee and said that appellant faced with a situation like this deserved a more compassionate attention from the court of sub judge. The appellant in the present case secured a loan from the respondent after selling his land on the condition that the property would be re-conveyed to him on repayment of the loan. However, the appellant moved a trial court in Kerala when the respondent sold the land to a third party. The trial court quashed the transaction and also dismissed his suit for recovery of the property on the ground that he could not fully pay the court fee. The appellant filed the present appeal in the apex court as his appeal was rejected by the Kerala High Court. Saying that the appellant deserved waiver of court fee so that he could contest his claim on merit which involved his substantive right, the apex court bench allowed the appeal. 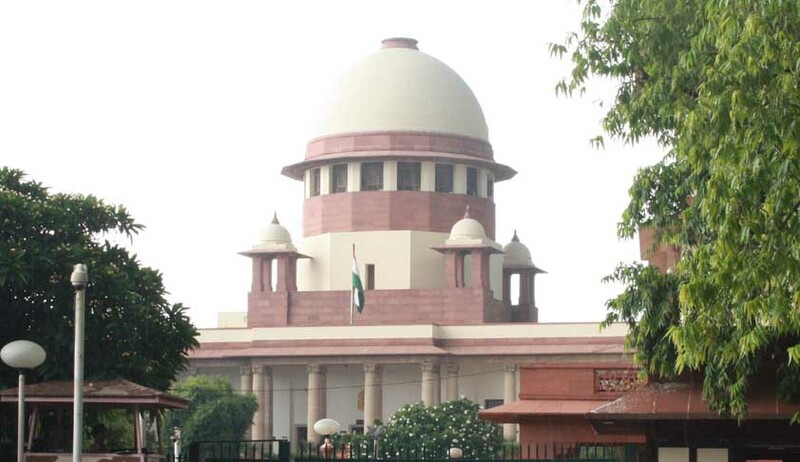 The decision of the court of sub judge was set aside by the apex court bench and it also condoned the delay of the appellant in non-payment of court fee saying there was a clear mistake on the part of the court of sub judge in rejecting the case of the appellant due to non- payment of court fee and remanded the case back to the trial court for payment of court fee within eight weeks. It further added that if for any reason, the appellant is not able to pay the court fee, he is at liberty to approach the jurisdictional district legal service authority and Taluk Legal Services Committee seeking legal aid for approval of court fee.